If you’ve not seen your credit report recently – or ever – you need to get going and get a copy. In fact, you need to get copies of your credit reports from the three credit agencies – TransUnion, Experian and Equifax. Or you can get all three simultaneously on the site www.annualcreditreport.com. This is due to the fact that your credit score is based on your credit report(s) and today credit scores are king. If you have a bad credit score, you may not be able to get any new credit at all. Or you may have to pay much higher interest rates. In fact, a bad credit score can even cause your auto insurance company to charge you a higher premium. When you get your report, here are five key items you must review. These have a huge impact on your credit score. Thirty-five percent of it is based on how well you handle credit. If your credit report shows you’ve paid bills 30, 60, 90 or 120 days late, this can be very damaging. A second factor that’s important is called timeline. This is how late you made the payment or how long ago you made the mistake. A second important factor in your score is your debt-to-credit ratio. This is the total amount of debt you have vs. your total credit limit. For example, if you have a total credit limit of $20,000 and debts of $12,000, your ratio would be 60% or much too high. Ideally, you would want to have a debt-to-credit ratio of 10% or at least 20%. You should also look carefully for any accounts that have gone to collection or that have been written off as bad debts. One or more of these will have a serious effect on your credit score. But if you find an item that isn’t really yours you can question it and possibly have it removed from your report. On the other hand, if the item is yours, you could decide to pay it though this won’t improve your score. You should also check your state’s statute of limitations. This is the amount of time that a creditor has to sue you over that debt. Of course, it’s best if the statute of limitations has expired. You should know if you have had any of these issues. However, it’s worth looking for them in your credit report to make sure that no one else is using your credit and trashing it. Also, an unscrupulous debt collector could have tagged you with someone’ else’s debt or taken some action against you without notifying you. This kind of information would be in the “public records” section of your credit report. Be sure to look there to see if there are any bankruptcies or liens reported that you don’t believe were yours. 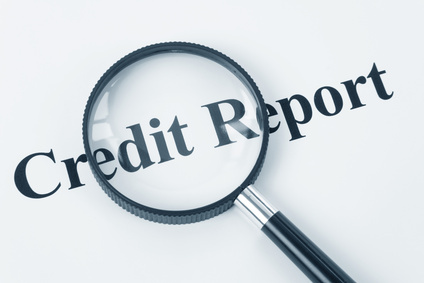 A third important component of your credit report is how many requests have been made to review it. There are hard and soft requests. Soft requests are usually those made by companies looking to offer you credit such as a pre-approved credit card offer. Hard requests are those where you’ve actually requested new credit, which triggered the lender to check your report. A hard inquiry will cause your credit to dip a couple of points. These generally affect your credit score for about a year but you’ll see them in your report for probably two years. Unfortunately your free credit reports will not include your credit score. You can get your score free from one of the three credit reporting bureaus but it will be your Vantage Score and not your true FICO score. Since most lenders use your FICO score it’s important that you get it. Unfortunately, you can get it in only one place – www.myfico.com. It will cost you $19.95 unless you sign up for a free trial of its Score Watch program. In this case it would be free.